Summer is finally here – and so is the weight you packed on while hiding away from the winter’s cold and spring’s showers. More than half of the U.S. population is facing this problem where they have gained extra, unwanted weight during the off-season. However, with summer being the season to wear as little clothes as possible and showing off your confidence with your summer body, what do you do with the excess weight? The easiest solution would be to exercise and change your diet. But – for those who want to walk fierce down the street now, that won’t be the fastest solution. 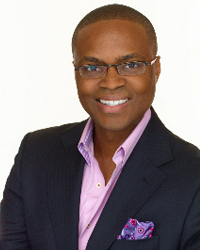 Certified image consultant and DAMstyle owner, David A. McKnight believes people can feel good about their body image if they find the right type of styles to hide those flaws and compliment the assets they love. McKnight owns his own image and lifestyle consulting agency DAMstyle where he consults with several clients who want to look good in current trends but don’t have that model image. But what about bathing suits since you can’t technically hide your imperfections in a two piece suit? Flat chest – wear a ruffle top swim suit or a swim suit with formed breast or cup inserts. This will give the illusion of a fuller bust. A swim suit with a ruche top will also work well. In addition, you should try to select suits that are bright or light in color because light colors gives the illusion of expanding, while and dark colors recede. Round in the middle (tummy) – Wear a cross over swim suit. the diagonal lines will camouflage the midsection and create the illusion of an hourglass silhouette, similar to a wrap dress. Fuller figure – Darker colored piece swim suits will be most flattering and comfortable. A bikini is not an optimal style for this body type. He also says add a statement jewelry piece to stand out in the crowd. Forget the old saying that less is better. This summer, wear some pieces to accentuate your swimsuit. Besides, a woman shall never be without her jewelry, even while swimming. It’s just a matter of what you wear and how you wear it. Try accessorizing with delicate pieces that can compliment your swimsuit. You will still show off your laid back summer style, just with a little dose of bling! Whiteflash.com, an online diamond boutique, offers a great selection for people to choose from. Longer or thin faces do best with dangle earrings which bell at the bottom to create width. Round or fuller faces fare better with oblong earrings that create the illusion of less facial fullness. Women with a small or receding chin should opt for shorter earrings that bring the eye up. The big earrings trend works so well from BoHo hippie fashion to full-out glam, so it might be just the right time to start adding to your jewelry box. To see which pieces look best on you in your outfit, visit www.whiteflash.com to see their entire collection for your summer swimsuit. Hope to see you on the beaches, standing out and not blending in!